Fabricadas con HDPE y polipropileno (polipropileno y polímero de cristal líquido las de 0,1 ml) sin lubricantes ni aditivos que puedan contaminar las muestras. Las puntas de pipeta desechables BrandTech™ PLASTIBRAND™ PD-Tip™ son reconocidas automáticamente por HandyStep™ electronic y AutoRep E. Las puntas Bio-Cert™ cuentan además con certificación independiente como libres de DNasa, RNasa, ATP y endotoxinas. Includes: Adapter is supplied with 25 and 50mL tips. 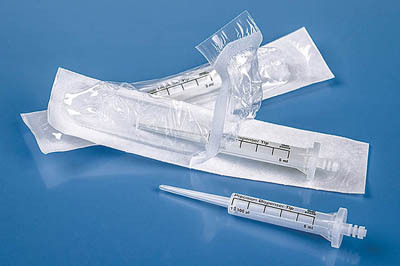 Made of high-density polyethylene and polypropylene (polypropylene and liquid crystal polymer for 0.1mL size) without lubricants or additives that can contaminate samples. Tip size is automatically recognized by HandyStep™ electronic and AutoRep E.
Available in nonsterile and Bio-Cert™ sterile. Bio-Cert™ tips are independently certified free from DNA, RNase, ATP, and endotoxin for critical biological applications. Pipetter Compatibility: For use with Brand HandyStep™, HandyStep™ Electronic, Eppendorf™ Repeater™, Ripette™, Rainin™ AutoRep™ E, AutoRep M, Nichipette Stepper™, and most standard repeating pipetters.